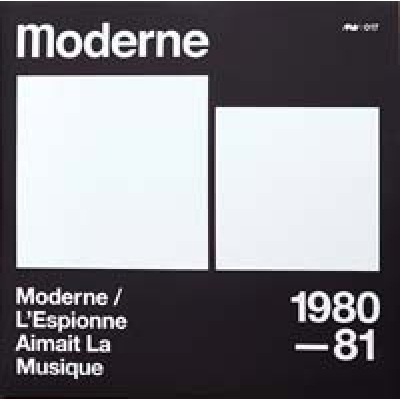 A limited edition release of Moderne's two full length LPs: Moderne (1980) and L'Espionne Aimait La Musique (1981), remastered from the original analog reels and pressed on 180 gram audiophile quality vinyl. The gatefold artwork features photographs of the band, and is printed on heavyweight 350 gram double white board, with a matte laminate and black inner sleeves. The release is accompanied by a double sided 18" x 24" poster featuring an interview with the band on one side, and photograph on the other.